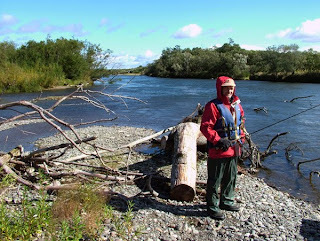 Chavanga Fish Blog: Kamchatka fishing. Catching of a salmon on the river Big. Kamchatka fishing. Catching of a salmon on the river Big. The river Big represents itself the whole texture various a channel and sleeves. The river incorporates all local large and small rivers, therefore the size of the river approaching to the sea impresses. 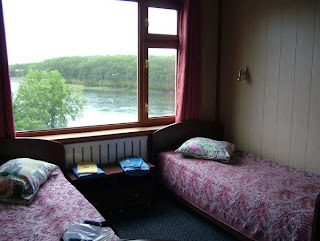 We have stopped in the comfortable house on river bank. Fishing here is impossible without a good conductor and a motor boat. 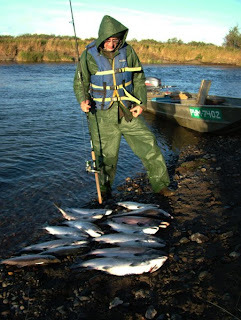 On near sites of the river there were very many fishers who have arrived to fish silver salmon for the weekend. Above on a current, kilometres in 4-5 from village of people any more was not, by means of the guide we chose the pleasant places for catching. In the middle of September we could count on catching of a silver salmon or kizuch, on mikizhu - a local iridescent trout and on chars. 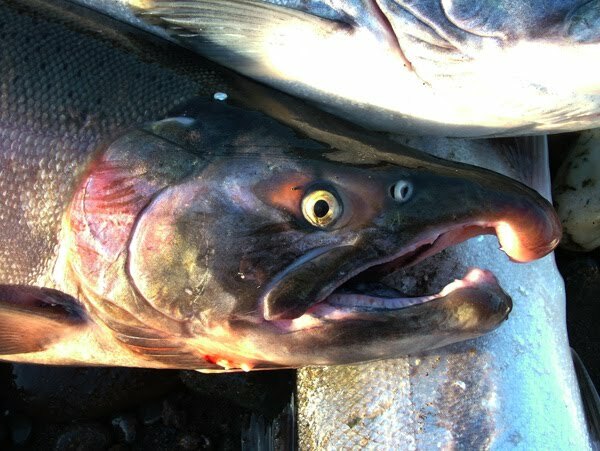 Other kinds of Pacific salmons were already after spawn. Their bodies densely covered coast. In transparent water at the bottom too it was possible to see bodies of fishes, still live salmons sometimes floated. Fresh fish - kizuch, has come into the river recently. Under steep coast a channel, under the fallen trees and on holes with a silent current playing fishes were visible. In such places it is more convenient to catch was on I will flash. Well worked Blue Fox #5-6 with the orange body. But it was caught and on other baits. 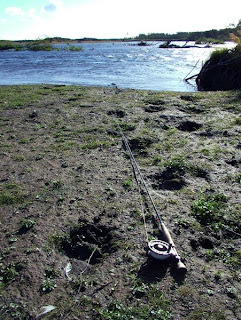 There were enough places convenient for catching from coast on a flies, pecked trout and chars. 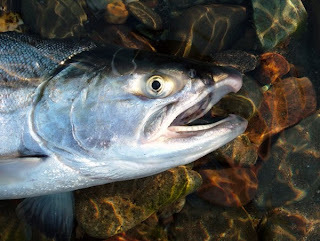 But be compared in efficiency of catching of a salmon a fly with metal lure could not. Probably, water bore yellow autumn leaves and it has lowered efficiency of a flies. Usually, bright red flies, with a yellow and black wing work well. Trout preferred imitations of a bloodsucker or minnow, chars attacked also fantasy flies. 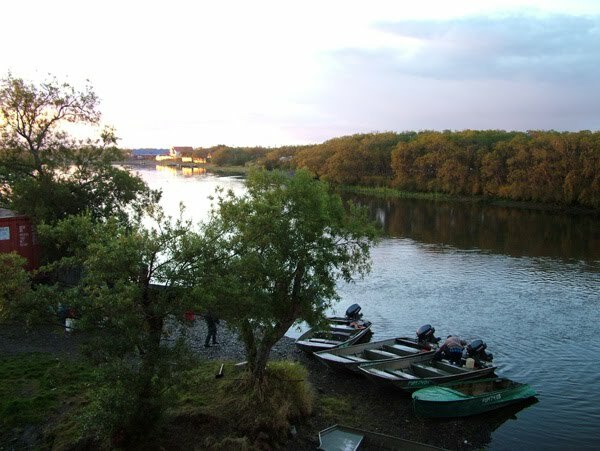 There was an impression that here it is a lot of fish, as from one place it was possible to catch 3-5 pieces, after an hour 2-3 more silver big fishes came across on a hook, and the others did not stop to lap at a surface. From a motor boat it was visible that the river really big, in it set of islands and branches with shelters for fishes. 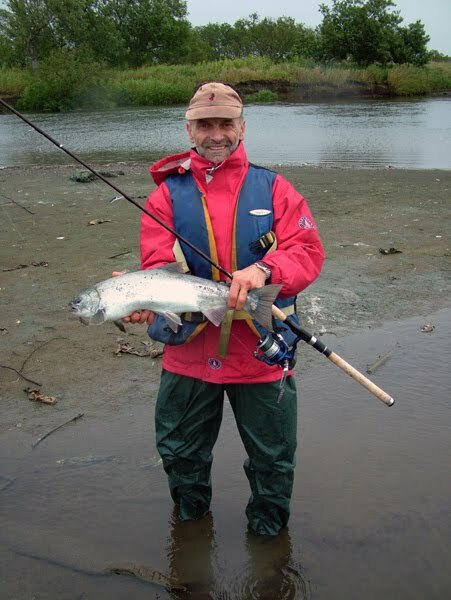 It is possible to tell that it is variant Big Game for Kamchatka. Two days have seemed too small term to understand and master all variants of catching. The fishing base is comfortable enough, good kitchen, is premises for drying of clothes and a bath. 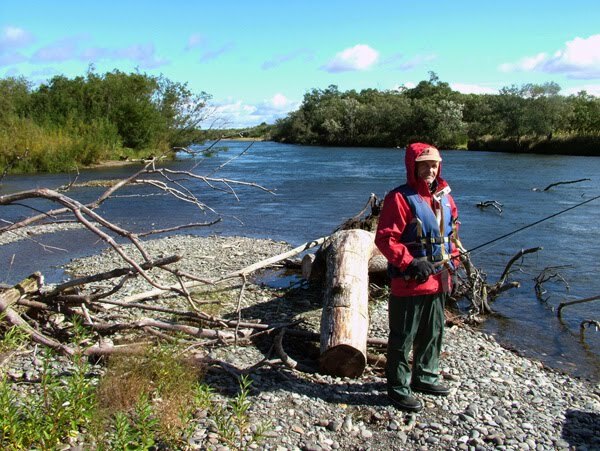 Later, we have moved on other rivers, but the river Big has appeared our rounds very interesting and useful in the schedule.